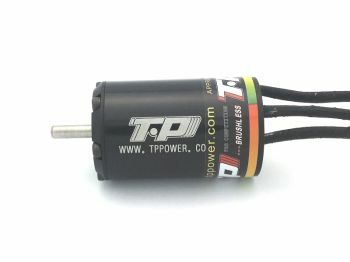 TP Power Brushless 3630 V1 Motors. These work well with 3s or 4s Lipo packs in 25"(625mm) to 30" (750mm) Race boats. 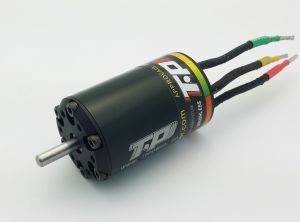 36mm Diameter by 59.5mm (see specs) Long Brushless Motor. Hand wound for high efficiency of up to 90%. Comes with high quality bearings and neodymium magnets for high power. Large vented front and rear endbells for additional heat dissipation. V1 motors are a three piece can design. Front and back plates screwed on. Bullet connectors. We suggest the OSE 5.5 Bullets.